H 3410 L 2722 ELEV FT. 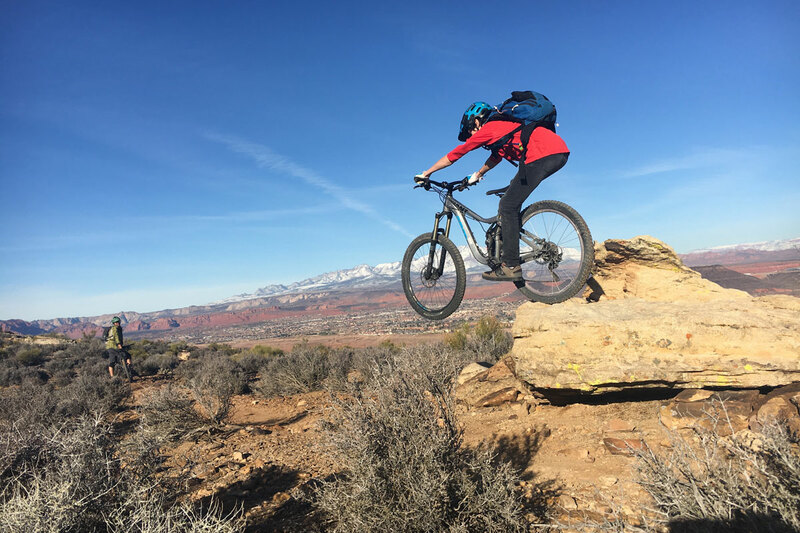 There are sheer cliffs easily accessible on this ride and you will ride this trail at your own risk. You are responsible for keeping your children safe. 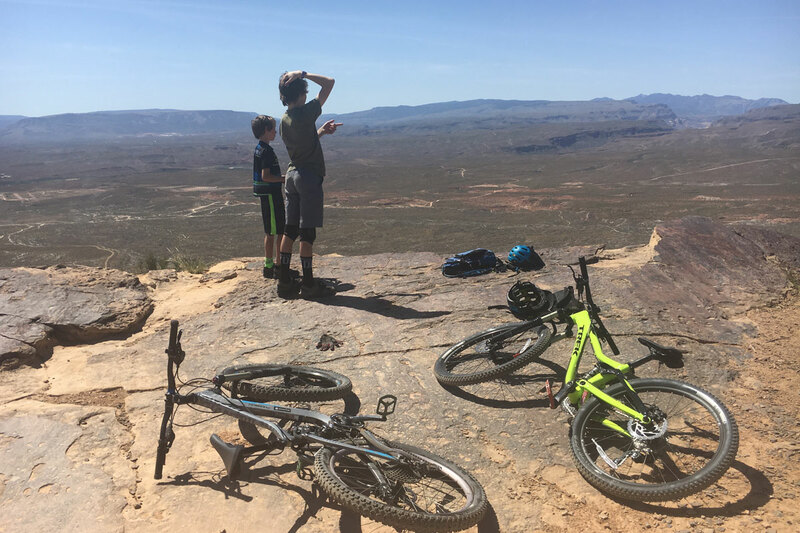 As always with difficult and advanced trails, you should have a capable adult who is at least a strong intermediate mountain biker in your family pre-ride Zen before bringing along the little ones. We’re not fun-haters – it’s just important that you gauge your children’s skill and endurance levels to ensure everyone has a fun, safe ride. 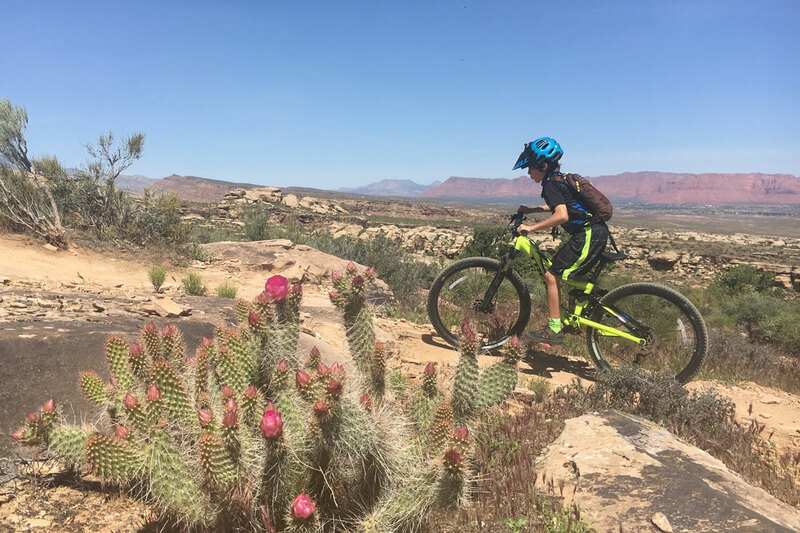 There is a lot to like about this trail – many fun technical obstacles, some optional drops, some slickrock, fun and flowy descents. Way finding can be challenging at times (this trail is marked by carins – no signage), but that adds to the adventure. 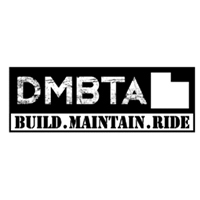 This trail can be ridden both clockwise and counter-clockwise. We like riding it counter-clockwise. From the parking area, go west through the gap in the fence. Follow the fire road up for less than ¼ mile and keep an eye out for the carins that mark the trail on the right. 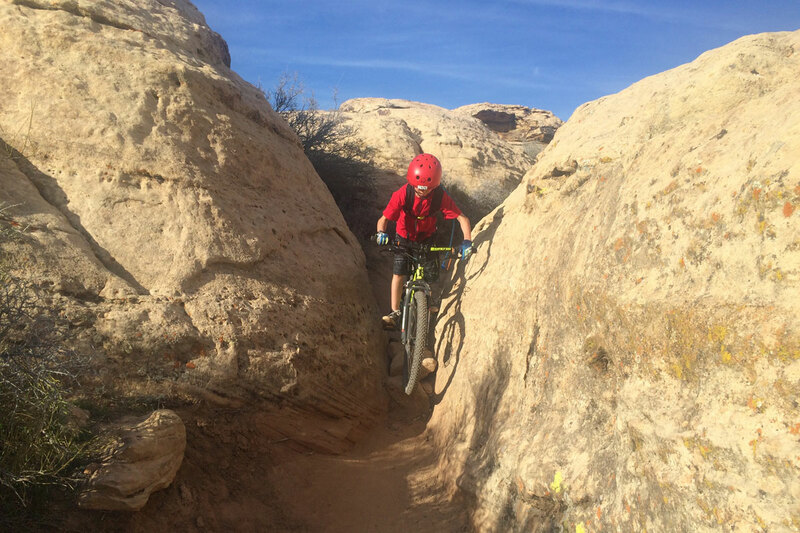 There are some moderately technical climbing sections and descents including rock rolls and one fun place where the trail passes through a very narrow gap in two boulders. 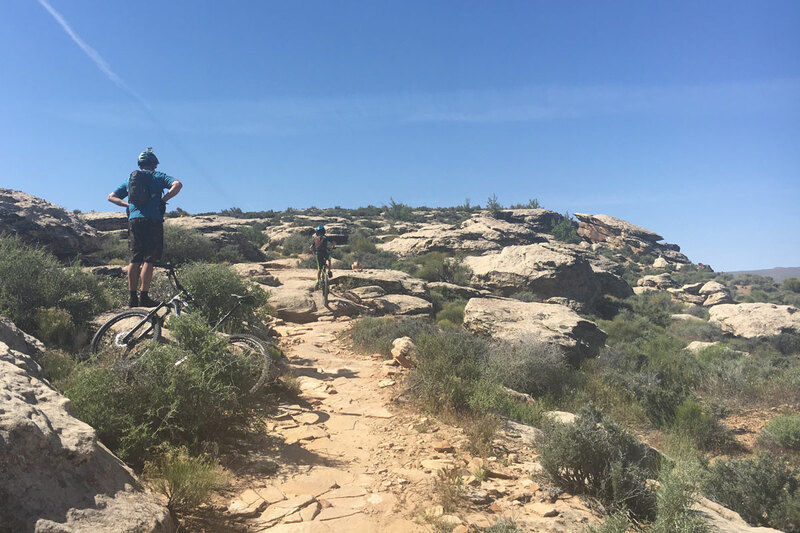 Follow the trail to the top of the mesa where you’ll enjoy beautiful views of the desert landscape with a glimpse of the Bearclaw Poppy trail far below. From this point, following the Zen trail in the counter-clockwise direction, it is mostly downhill with a few short sections of climbing. This section also has some fun technical sections. Stay on the single track – there is one split near a fire road where the trail is a bit hard to see. Stay left and follow the carins back to the start. Go South on Bluff Street. Turn right on Black Ridge Drive. Turn Left Canyon View Drive. Continue on until the pavement ends. You can park here in the dirt parking lot, or follow the dirt road to the lower parking area.